Customers have changed – Customers today are unforgiving when it comes to spam mails. They are quick in pressing the delete button. If they suspect that what you’re sending is another generic email, it will get trashed quickly. You must make your marketing personalized; it’s the only way you can capture attention. Infusionsoft lets you know your customers fully – You can serve your customer well based on what you know about them – their interests, buying habits, dislikes, etc. Infusionsoft captures data about your customers that you can use in building your relationship with them. Email marketing campaigns – By now, you must no longer be using auto-responders that sends scheduled emails to everybody on your list. This is an old trick in marketing that no longer works. With Infusionsoft, you can run an efficient marketing campaign where your customers get marketing communication they need and will read. Infusionsoft can multi-task – Due to budget considerations, small businesses must juggle several balls at the same time without dropping any. Infusionsoft is a master juggler. Let it juggle some of your balls so you can focus your attention to more pressing tasks. It lets your track your lead sources – At the end of each quarter and year, you must have a clear picture of new leads, customers and revenues derived from lead sources. 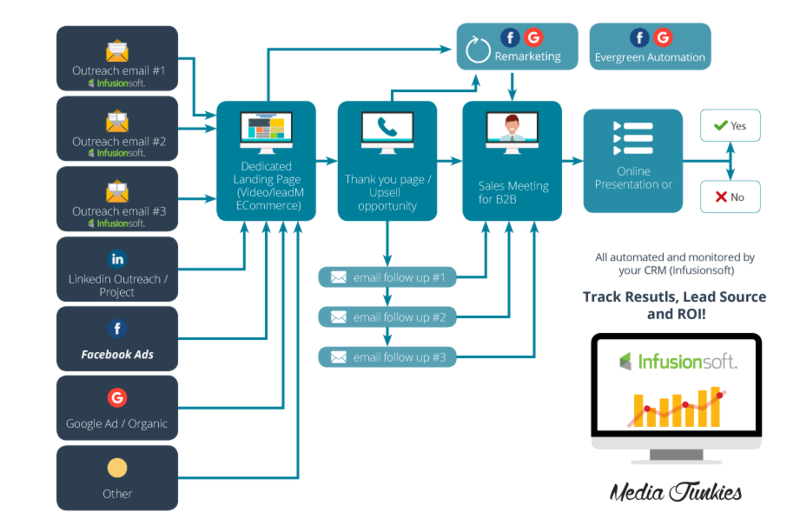 You can do this through Infusionsoft’s Lead Source Tracking. Infusionsoft targets behaviors – Behavioral-based marketing refers to making an appropriate reaction to a customer’s action. If a customer logs into your website, what is your corresponding reaction? If a customer hasn’t visited your website for quite some time, how will you react? Infusionsoft is a trusted email provider – With Infusionsoft, you can rest soundly because you’re sure your email will reach its recipients. It is trusted by ISPs and email providers because Infusionsoft has a reputation of not tolerating spammers. Infusionsoft integrates with WordPress – If you’re using WordPress for your website or blog, you’d be glad to know that Infusionsoft integrates with WordPress and even has features that you can add. Infusionsoft is here to stay – Infusionsoft has heavy financial backers. Be confident in investing because Infusionsoft is here to stay and will continue improving their software to serve your growing needs.